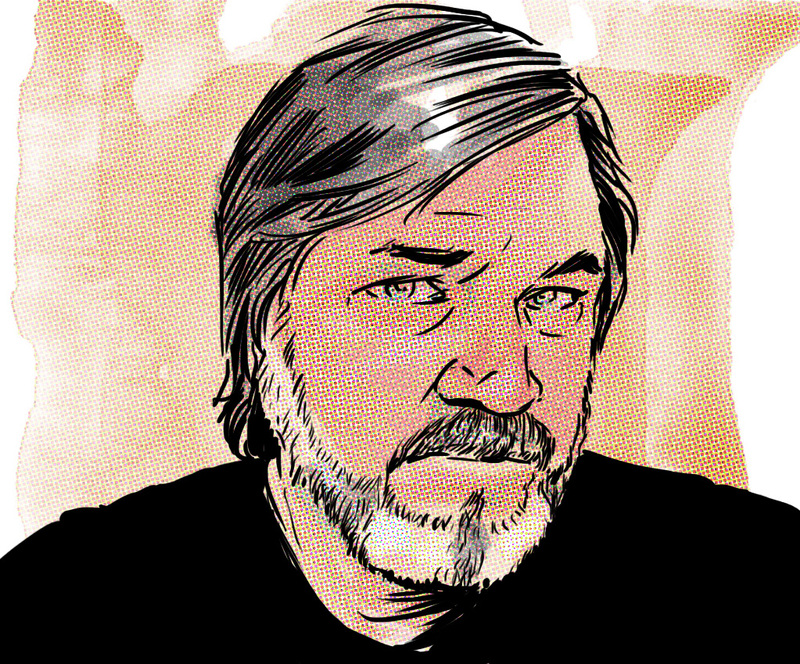 Hi, I’m Rob Woodrum, freelance illustrator, comic artist, cartoonist….and, er….pastor. I live in the panhandle of Florida with my wife Robbie. I have four grown children (two boys, two girls), five surfboards and three cats who make me sneeze. The church I serve as pastor of is Eastgate. I draw a bi-monthly comic strip for Group Magazine. Other clients have included Oatmeal Greeting Cards, Cupps of Chicago, Rev Magazine, and recently my work was included in the anthology “Parable”. This site is filled with old pictures, commercials, and comics from the the early 1900’s. Maybe you could incorporate them into your designs. I have read your book and I thank God that I have. I am in that place you were at the beginning and I have been searching the Bible and am as frustrated as you were. Thank You for writing this book. It truly has been a blessing to me. The translation of the Didache at the end was perfect. I had never heard of the document before and so read other various translations before I read your paraphrase. When I read your paraphrase, I laughed out loud because that’s exactly how I would have done it. I pray for and thank God for you, your family and your “church” daily. Keep Up God’s Work! Thanks Ray! Alway appreciate good resources! Thank you Dana! It really does my heart good when I hear that I’m not alone on this journey…that there are others who aren’t normal as well. God bless YOU and what He’s called you to! Here is the link to Origins of Eastgate. I hope we can get this in DVD format,but until then, maybe this will work. Hey Rob…I’m new on wordpress and ventured onto your blog and loved looking and reading….love the gift God put in you with your art. I went to your Eastgate site as well and looked around and felt my heart link to that body of believers…..Jesus….He’s the center; He’s everything. The Person. That is where I’ve come in my 50 year journey…He’s captured me…totally. I’m in a new season of life now…recently laid off….raw…hungry of soul….ready to hang ten with Jesus on whatever adventure He says to go on. He has given me other brothers that are kindred spirit here and He is definitely up to something really good here…though I don’t see tangible things yet. But you can smell something wild and wonderful in the air…like how rain smells before it actually is seen. I love your journey….I’m curious…since “visual” is such a big deal in your life and I sense you are guy with a drawing pad and pen in your hand at different times in the day, do dreams and visions interest you since you think in pictures ? Hello, Mr. Robbie! I write a newsletter for Youth Pastors in the International Pentecostal Holiness Church. I found a couple of good comics that I would like to use in a section that we call “LOL!” I haven’t been able to find them on the Rev! website so I wasn’t sure if they were avaliable for public use. If you could let me know how I could get to this and if I would have permission to use it, that would be great! Mr. Woodrum, i purchased a set of Indian paintings on or about 1995 thru Breative Galleries, Inc. They are of a family to include a father and son in one and mother amd child in another. Are these from your collection? I like the sketches on your site. Have you read “An Illustrated Life” by Danny Gregory? I was inspired to create a facebook group where people share their illustrated journals in a supportive community for artists at all levels. Check it out here https://www.facebook.com/groups/sketchbookers and join if you like! Purchased some paintings from Beech Street Art back in the 90’s wondering if these are your paintings They are Southwest themed.